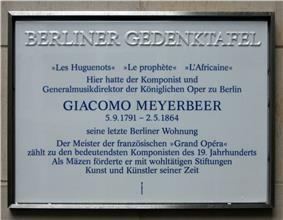 At the same time as his successes in Paris, Meyerbeer, as a Prussian Court Kapellmeister (Director of Music) from 1832, and from 1843 as Prussian General Music Director, was also influential in opera in Berlin and throughout Germany. He was an early supporter of Richard Wagner, enabling the first production of the latter's opera, Rienzi. 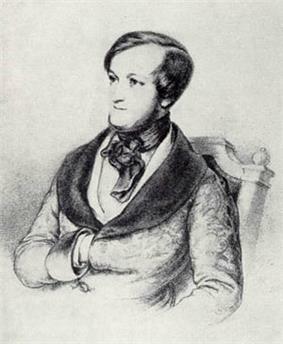 He was commissioned to write the patriotic opera Ein Feldlager in Schlesien to celebrate the reopening of the Berlin Royal Opera House in 1844 and wrote music for certain Prussian state occasions. Apart from around 50 songs, Meyerbeer wrote little except for the stage. The critical assaults of Wagner and his supporters, especially after his death, led to a decline in the popularity of his works; his operas were suppressed by the Nazi regime in Germany, and were neglected by opera houses through most of the twentieth century. Meyerbeer's works are only infrequently performed today. Beer's first keyboard instructor was pédalier, based on the chorale of the Anabaptist priests in Le prophète and dedicated to Meyerbeer. The work was also published in a version for piano duet (S.624) which was much later arranged for solo piano by Ferrucio Busoni. 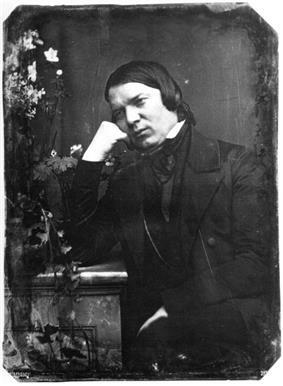 Wagner's disciple Theodor Uhlig followed Schumann's Judaeophobic line in his 1850 review of Le prophète: 'To a good Christian [it] is at best contrived, exaggerated, unnatural and slick, and it is not possible that the practised propaganda of the Hebrew art-taste can succeed using such means.' Uhlig's phrase 'the Hebrew art-taste' was to be used by Richard Wagner to spark off his attack on Meyerbeer, 'Das Judenthum in der Musik (Jewishness in Music).' (see below). In particular, after 1849, Wagner resented Meyerbeer's continuing success at a time when his own vision of German opera had little chance of prospering. After the May Uprising in Dresden of 1849, Wagner was for some years a political refugee facing a prison sentence or worse should he return to Saxony. During his period of living in exile he had few sources of income and little opportunity of getting his own works performed. The success of Le prophète sent Wagner over the edge, and he was also deeply envious of Meyerbeer's wealth. In reaction he published, under a pseudonym, his 1850 essay 'Jewishness in Music'. 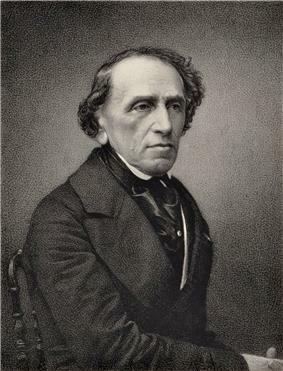 Without specifically naming Meyerbeer, he interpreted the popular success of the latter as the undermining of German music by alleged Jewish venality and willingness to cater to the lowest tastes, and attributed the supposed poor quality of such 'Jewish music' to Jewish speech and song patterns, which 'though the cultured son of Jewry takes untold pains to strip them off, nevertheless they shew an impertinent obstinacy in cleaving to him'. In his major theoretical statement, 'Opera and Drama' (1852), Wagner objected to the music of Meyerbeer, asserting its superficiality and incoherence in dramatic terms; this work contains Wagner's well-known put-down of Meyerbeer's operas as 'effects without causes'. It also contains the sardonic crack that '[Rossini] never could have dreamt that it would some day occur to the Bankers, for whom he had always made their music, to make it for themselves'. 'Jewishness in Music' was reissued in 1869, (after Meyerbeer's death) in an extended form, with a far more explicit attack on Meyerbeer. This version was under Wagner's own name – and as Wagner had by now a far greater reputation, his views obtained far wider publicity. These attacks on Meyerbeer (which also included swipes at Felix Mendelssohn) are regarded by Paul Lawrence Rose as a significant milestone in the growth of German anti-Semitism. Amongst reasons often adduced for the dearth of modern productions are the scale of Meyerbeer's more ambitious works and the cost of mounting them, as well as the alleged lack of virtuoso singers capable of doing justice to Meyerbeer's demanding music. However, recent successful productions of some of the major operas at relatively small centres such as Strasbourg (L'Africaine, 2004) and Metz (Les Huguenots, 2004) show that this conventional wisdom can be challenged. A highly successful production of Les Huguenots conducted by Marc Minkowski with stage direction by Gilbert Py was presented at Brussels' Théâtre de la Monnaie in 2011, and a new production of the same work opened at the Staatstheater Nürnberg in 2014, conducted by Guido Johannes Rumstadt with stage direction by Tobias Kratzer, a co-production with Opéra de Nice. In December 2012, the Royal Opera House in London premiered its first performance of Robert le diable in 120 years. In 2013, Meyerbeer's original version of L'Africaine in a new critical edition by Jürgen Schläder was performed by Chemnitz Opera House under the original title Vasco de Gama. The production was a success with audiences and critics and won the poll of German critics award presented by Opernwelt magazine annually as "Rediscovery of the year" in 2013. ^ Meyerbeer is given a four-page entry (columns 186-193), in the Nazi bible of forbidden Jewish music, Lexikon der Juden in der Musik (ed. Theophil Stengel and Herbert Gerigk, Berlin:Hahnefeld, 1941). This entry quotes extensively from Wagner and Schumann, and from contemporary Nazi musicologists. ^ Fantasy and Fugue on the chorale "Ad nos ad salutarem undam": Scores at the International Music Score Library Project, accessed 28 May 2014. ^ Réminiscences de Robert le diable, S.413: Scores at the International Music Score Library Project, accessed 28 May 2014. ^ Illustrations de l'opéra 'L'Africaine', S.415 (1865): Scores at the International Music Score Library Project, accessed 28 May 2014. ^ Grand duo concertant sur des thèmes de 'Robert le diable', B.70": Scores at the International Music Score Library Project, accessed 28 May 2014. ^ Grande Fantaisie pour Piano pour la main gauche sur 'Robert le Diable' de Meyerbeer: Scores at the International Music Score Library Project, accessed 28 May 2014. ^ Variations de Concert on ‘Quand Je Quittai La Normandie’ from Meyerbeer's 'Robert le Diable', Op.11: Scores at the International Music Score Library Project, accessed 28 May 2014. Attwood, William G. (1999). The Parisian Worlds of Frédéric Chopin. New Haven:Yale University Press. Heine, Heinrich, tr. C. G.Leland (1893). The Works of Heinrich Heine, vol. 4 (The Salon). London: William. Heinemann. List of performances of operas by Meyerbeer on Operabase. 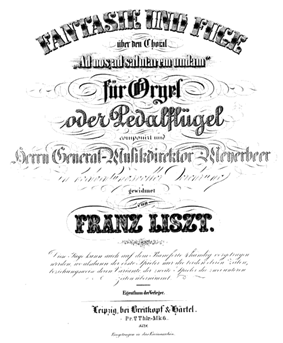 Cover of the first edition of Liszt's 'Fantasy and Fugue on the chorale "Ad nos, ad salutarem undam"
Typical of Meyerbeer's innovative orchestration is the use in Robert le diable of dark-toned instruments –bassoons, timpani and low brass, including ophicleide– to characterise the diabolical nature of Bertram and his associates. At one point the arrival of a character is announced by a combination of three solo timpani and pizzicato double-basses. Similar adventurousness is shown in Les Huguenots where the composer uses a solo bass clarinet and solo viola d'amore to accompany arias. For Le prophète, Meyerbeer considered using the newly invented saxophone. Becker suggests that Meyerbeer in all his grand operas often 'created a deliberately 'unbeautiful' sound.....with unusual orchestration designed to express ...content rather than produce a sensuous sound' and opines that this explains much of the criticism he received from German writers on music. The first signs of Meyerbeer breaking with the Italian traditions in which he had trained are in Il crociato in Egitto. Amongst other notable features of the opera were its lavish orchestral forces (extending to two onstage on-stage military bands in the final act). The grandiosity of the work reflected the need to make an impact on the sophisticated and technologically advanced stages of London and Paris, for which it was extensively rewritten. 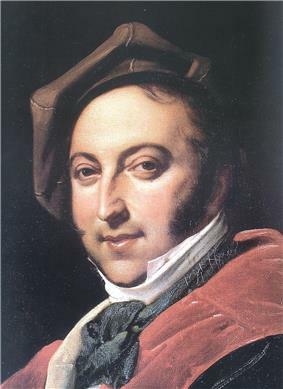 Meyerbeer's contribution was revealed at this stage to be the combination of Italian vocal lines, German orchestration and harmony, and the use of contemporary theatrical techniques, ideas which he carried forward in Robert and his later works. However Meyerbeer's background in the Italian operatic traditions can be clearly seen as late as 1859 in the 'mad scene' in Dinorah (the virtuoso aria Ombre légère). 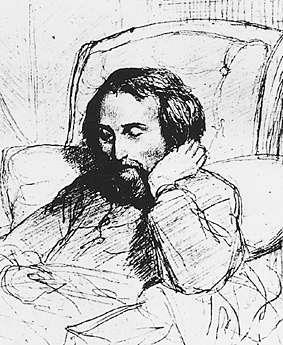 ).Charles-Valentin Alkan had to be cut in its entirety, surviving only in a piano arrangement by Le prophète (The lengthy overture to Indeed, his devotion to the voice often led him to ignore the dramatic cohesion of his operas; typically, he would write far too much music and the scores of his operas would have to be drastically cut during rehearsals. Writing beautifully is easy; expression is not too difficult; but only the genius of a great painter...can choose for each picture agreeable and natural colours that are particular to it. 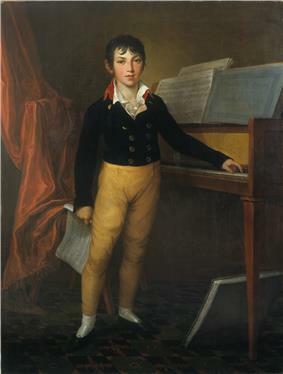 In this way he was close to the ideas of his teacher Vogler, himself renowned for his dramatic depictions of nature and incident in keyboard music, who wrote in 1779  Throughout his career he wrote his operas with specific singers in mind and took great care to temper his writing to their strengths; but at the same time he seemed little interested in expressing the emotions of his characters, preferring to use his music to underline the larger-scale machinations of the plot.All of his significant music is for the voice (opera and songs) and this reflects his detailed grounding in Italian opera. He had a rich fund of appealing if somewhat short-breathed melody, commanded an increasingly rich harmonic vocabulary, and was a master of brilliant and novel orchestral effect. But he had very limited skill in thematic development and even less in contrapuntal combination. With the continuing delays in the production of Le prophète and L'Africaine, Meyerbeer was now becoming subject to increasing sniping in Paris. 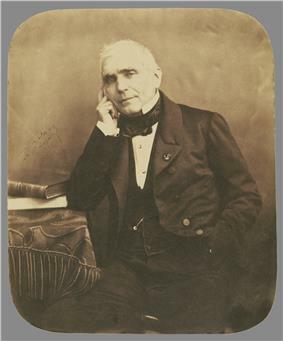 In 1846 Meyerbeer began work on a new project with Scribe and Saint-Georges, Noëma, but in the following year Pillet was sacked from the opera and the direction was resumed by Duponchel. As a consequence, Meyerbeer was at last able to stage Le prophète with a cast to his liking, (including Viardot as Fidès), and it premiered on 16 April 1849. Again Meyerbeer's new opera was an outstanding success – despite the unusual feature of the lead female role being the hero's mother, rather than his lover. Amongst those at the 47th performance in February 1850 was Richard Wagner, now an impoverished political exile; the success of a work so fundamentally against his own operatic principles was one of the spurs to his spiteful anti-Jewish denunciation of Meyerbeer and Mendelssohn, 'Das Judenthum in der Musik' (1850). In 1843, the Berlin Opera house burnt down. The creation of the new building gave a new opportunity to commission a German opera from Meyerbeer. The subject of the opera, Ein Feldlager in Schlesien (A Silesian Encampment), was an episode in the life of Frederick the Great. As this patriotic opera 'needed' Prussian creators, Meyerbeer arranged that whilst the trusted Scribe would write the libretto, Rellstab would translate it and take the credit (and the royalties). This had the added advantage of winning over the formerly hostile Rellstab. 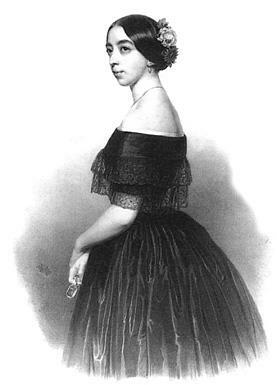 Meyerbeer had hoped to have Jenny Lind (for whom he had written the part) sing the lead role of Vielka, but the opera premiered on 7 December 1844 without her (although she did appear in subsequent performances). The libretto was revised by Charlotte Birch-Pfeiffer to a Bohemian background as Vielka for a production in Vienna (1847). 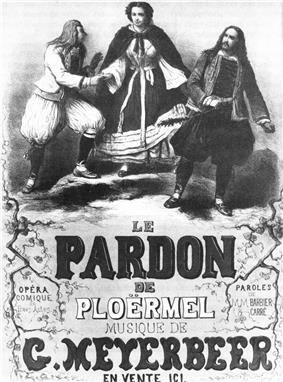 (In a further incarnation, the music was later used by Meyerbeer for a revamped libretto by Scribe featuring Peter the Great, and produced as an opéra comique in Paris (L'étoile du nord, 1854)). In the meantime, the situation in Prussia was changing. Following the death of Frederick William III, the new regime of Frederick William IV was far more liberal. Spontini was dismissed, and the Berlin premiere of Les Huguenots was arranged (20 May 1842). On the instigation of Alexander von Humboldt, Meyerbeer was installed later in the year as Prussian Generalmusikedirektor and director of music for the Royal Court. 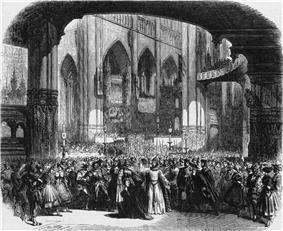 [n 4] Meyerbeer wrote a number of works for court occasions, and also provided music, at the King's request, for the first staging on Berlin in 1856 of his brother Michael's play Struensee (based on the life of Johann Friedrich Struensee), which had also been proscribed under the previous regime. By the end of 1841, Meyerbeer had completed the first draft of Le prophète, but refused to stage it because the then director of the opera, Leon Pillet, wished to cast his mistress, Rosine Stoltz, in the part of Fidès, the hero's mother. (Berlioz characterised Stoltz as 'la Directrice du Directeur'). Meyerbeer insisted on Pauline Viardot for the role. Meyerbeer lodged the score with a Parisian lawyer, and refused to countenance any production until his wishes were met. 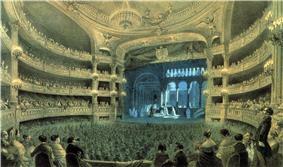 It was not until 1849 when the Opéra was willing to agree his conditions. 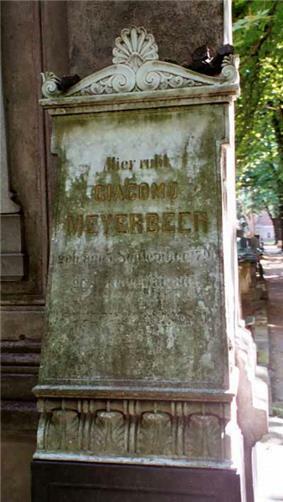 Meyerbeer was unique in his time in having the wealth and influence to impose his will as a composer in this way. Meanwhile, in Paris Meyerbeer began to seek new libretti, initially considering L'Africaine), which he contracted to complete by 1840. 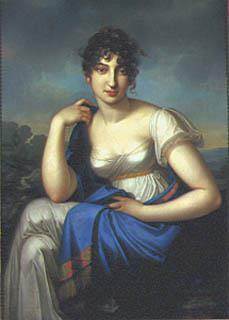 However, Meyerbeer had envisaged that the main role in L'Africaine would be written for Falcon; after the catastrophic failure of her voice in 1837, he turned instead to Le prophète. 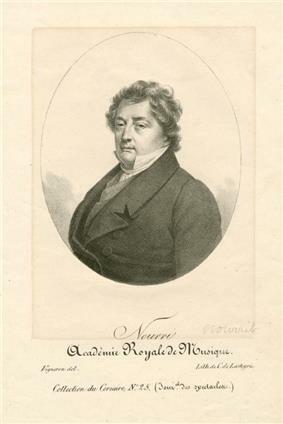 In Berlin Meyerbeer faced however many problems, including the enmity of the jealous Gaspare Spontini, who since 1820 had been court Kapellmeister and director of the Berlin Hofoper. Although he had been appointed a court Kapellmeister, complaints were made in the Berlin press about the delay of the Berlin premiere of Robert le diable (which finally took place in June 1832), and Meyerbeer's music was decried by the critic and poet Ludwig Rellstab. There was no sign of the German opera expected from Meyerbeer. Moreover, reactionary censorship laws prevented production of Les Huguenots in Berlin, (and indeed in many other cities of Germany). Nevertheless, Meyerbeer, who (as he wrote to a friend) 'years ago...swore to myself never to respond personally to attacks on my work, and never under any circumstances to cause or respond to personal polemics', refused to be drawn on any of these matters.